No longer plucked and diminished, the full strong brow is THE beauty trend. Prescription lash growth serum and other products and services for lash, brow-sculpting for men and women and eyelash extensions are the focus of the derma-cosmetic industry. Estheticians scramble to attend eyelash extension training workshops. Spas add Eye and Brow Services to the professional salon environment. The American Society of Plastic Surgeons offer the ultimate solution: the brow lift or forehead lift reverses the effects of gravity and tightens the soft tissues of the forehead to restore a more youthful contour to your forehead skin, upper eyelids and eyebrows. Post Surgery, Contemporary Design Inc. offers the UCO-120 Facial and Otoplasty Band. Ideal for multiple applications. 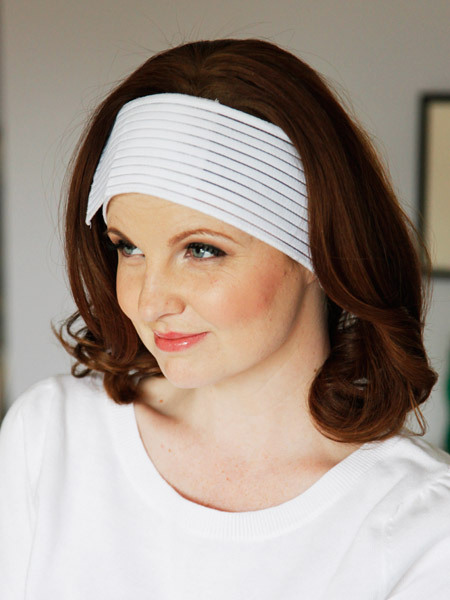 Depending on use, can provide firm support to the forehead and ear area or under the chin. This 3” wide soft elastic band a brushed finish for enhanced patient comfort. The band is easy to apply and has Velcro® closure for adjustability. Also available with additional securing straps. Call for details.